To activate and empower the people of God~! God is moving here in Moravian Falls~! Come and join us in the glory realms~! Join us and receive activation, impartation, and empowerment~! This event is designed to release and equip the people of God to move and minister in the anointing of the Holy Spirit, and for the equipping of the saints for the work of ministry, for the edifying of the Body of Christ, until we all come to the unity of the faith and of the knowledge of the Son of God, to a perfect man, and are transformed into the fullness and very image of Christ. Teaching will focus on the understanding the revelatory knowledge found from entering into and resting in the glory of God! or what some call the Glory Realms. This gathering is designed to help you appropriate the gifts and callings that the Lord has placed upon your life. We will be teaching, training, and imparting ways that you can have your spiritual eyes, "the eyes of your understanding," opened to perceive and enter into the glory of God in your daily life and ministry. If you enjoyed seeing the power of God move, and all of the miracles, healings, signs, and wonders that God released at Previous Heaven Touching Earth meetings, you will want to attend the next Gathering in Moravian Falls. We will have some wonderful speakers who move in the realm God's glory. Come and Get a NOW word from Heaven! 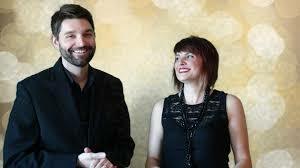 Charlie and Brynn Shamp are the founders of Destiny Encounters. They have a true passion to see revival and the glory of God manifested in all the earth. Charlie was used by the Lord to spark the West Coast rumble at the Seattle Revival Center in 2016 and carries the spirit of revival into the Body of Christ! his ministry is punctuated by powerful miracles, signs and wonders! They boldly declare the gospel of Christ; ministering freedom, joy, and supernatural healing everywhere they go. They are fulfilling a mandate from God to preach the gospel with miracles, signs and wonders in the nations of the earth. They have ministered both nationally and internationally with radical demonstrations of faith seeing lives transformed through the power of the Holy Spirit. Compelled by the heart of the Father to seek and save the lost, they are releasing God’s love to the world seeing the captives delivered, the sick healed, and lives changed. Gary Beaton moves in a dynamic realm of the supernatural to bring dunamis power, healing and firm foundations to the Church. He is well-known for releasing Prophetic impartation into the lives of Believers and also for releasing life-changing Glory for Revival wherever he is sent. His heart is to bring about Apostolic Reformation and genuine Revival in personal lives, cities and nations. *Walk in and Day Rate Registration available - Space is Limited! 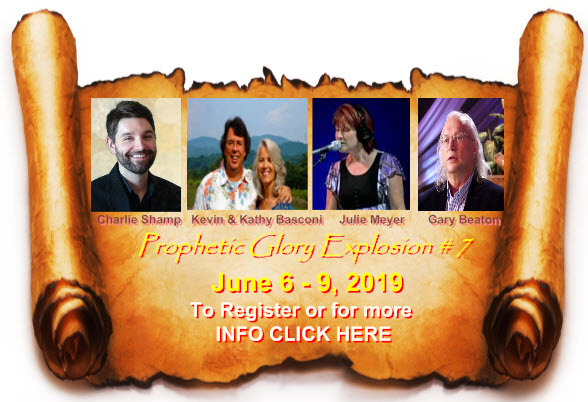 Use Registration Code PROPHETIC GLORY and receive 33% off your Registration. Offer Valid until June May 15th, 2019. Tuesday to Friday 11am to 4pm.